Next year will be insane, too, as the city undergoes a major makeover. Chef Daniel Humm and Will Guidara will open their NoMad Bar in Las Vegas on Friday, October 12, and this will be a lot more than an outpost of what’s considered the best bar in North America. The beautiful, airy space, with French doors that lead to patio seating, will be an all-day restaurant. It’s part of the massive transformation that’s turned the former Monte Carlo casino-hotel into the NoMad and Park MGM properties. The NoMad Bar, which you’ll be able to see right after you enter the Nomad lobby, will have a little stage with a piano. There will be live music on many nights. “At night, the bar will be like a Vegas riff on what we’ve done in New York,” Guidara says. 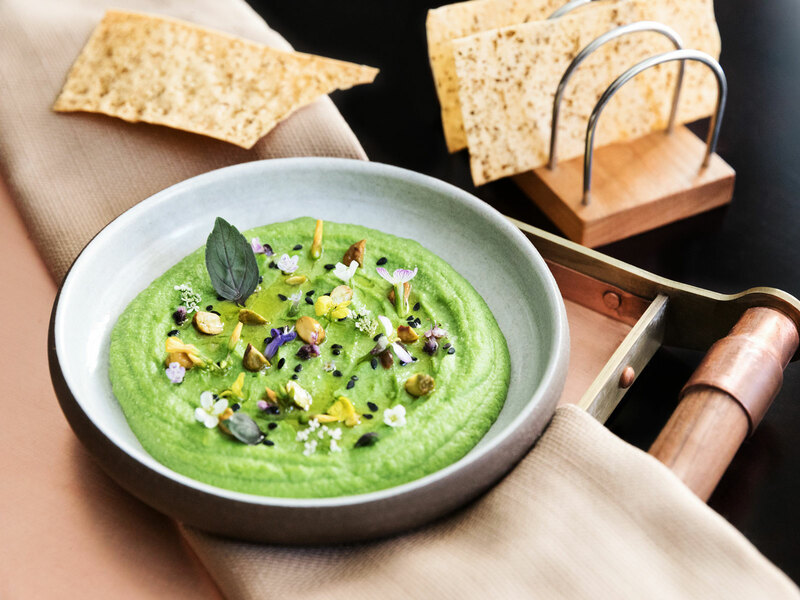 The dinner menu will include dishes like an aged rib eye for two, shrimp cocktail, and Caesar salad, “but all done through Daniel’s lens,” Guidara adds. In the morning, guests can enjoy coffee, pastries, and eggs while a dramatic curtain that hangs from the ceiling hides bar director Leo Robitschek’s liquor collection and the actual bar part of the NoMad Bar. For lunch, there will be entrée salads and a chicken-and-black-truffle French dip that’s inspired by Humm’s glorious chicken burger. With a mix of high-top seating, traditional tables, and a lounge area, the space is set up for both casual drop-bys and elegant meals. It’s designed to feel like the resort’s living room. All this said, Guidara, who’s had magic shows and musical performances at his New York restaurants, appreciates the fact that Vegas is a city where people want to have fun in over-the-top ways every single day. So, yes, expect smoke and fire. Expect shareable cocktails served in whimsical vessels like a giant copper chicken. 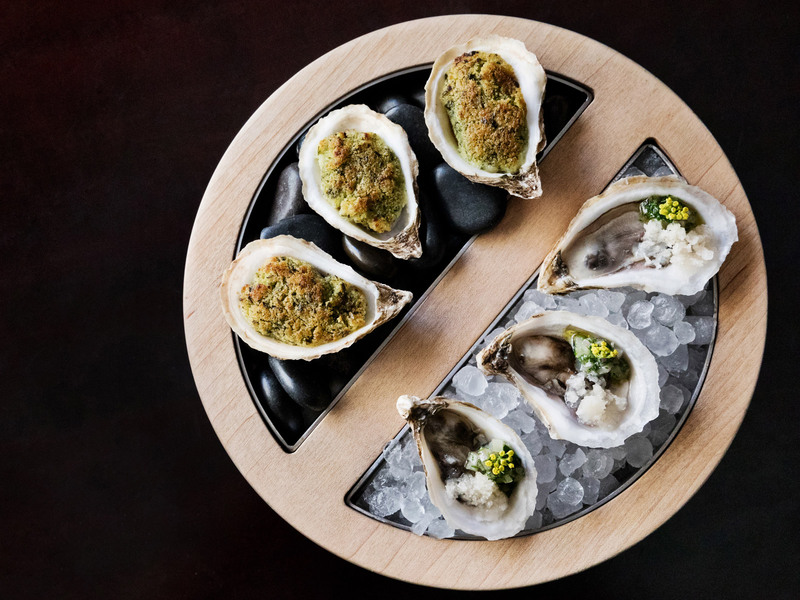 Expect showstopping dinnertime dishes like "hot and cold oysters," which are broiled oysters with parmesan and breadcrumbs atop hot rocks alongside raw oysters with apple snow atop crushed ice. Expect a Lazy Susan of sorts with a “mixed fry” in three compartments: one inspired by tempura, another inspired by fritto misto, and another inspired by Southern dishes. 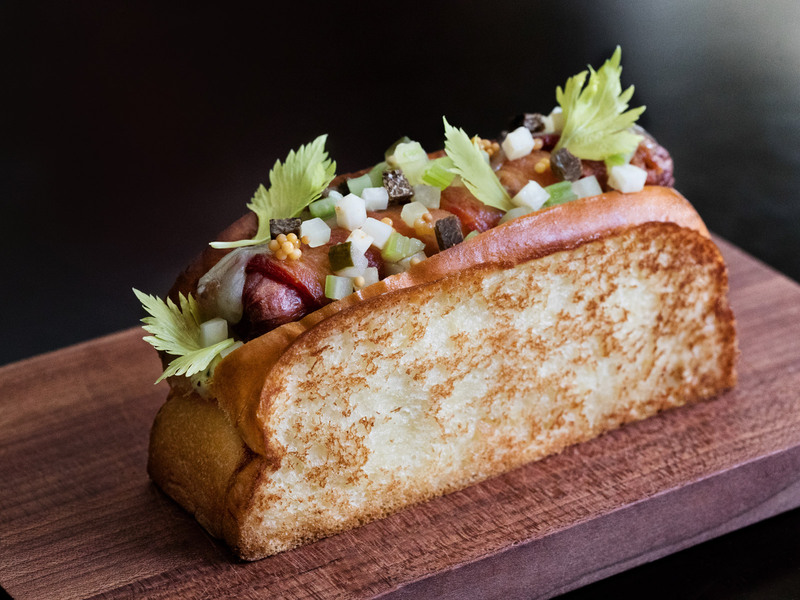 Expect NoMad greatest hits like fava bean hummus, the bacon-wrapped Humm Dog with black truffle mayo, and milk-and-honey ice cream. Expect to see musician friends of Guidara on stage. Expect to see performers he’s encountered while traveling the world. But maybe don’t expect Guidara, who plays the drums himself and has sat in with a band outside his Eleven Madison Park restaurant in New York, to be jamming out himself. At least not at first. Expect to see cocktails, whether they’re classic Manhattans or original Robitschek creations, that involve the kind of specialty glassware and ice that are at other NoMad properties. “We’re taking everything we’ve done in the other places, and we’re not compromising any of our standards,” Guidara says. This is significant in Vegas, where many bars and restaurants rely on using whatever is provided by the casino-resort they inhabit. The NoMad Bar is just one piece of a makeover that also includes a more formal NoMad restaurant that will open for dinner in November, 293 NoMad hotel rooms, a high-limit casino with custom NoMad blackjack tables under a Tiffany glass ceiling that was in the Monte Carlo, and a NoMad pool that will open in the spring. This is Vegas, where a big part of success involves creating a show for your customers to enjoy. But this is the NoMad show, where you can hear “soulful music” ranging from Stevie Wonder to Chromeo on the speakers while you’re gambling instead of the nightclub anthems that are blasted all over the city. “It’s a lot less EDM,” Guidara says. Vegas is about a wide range of dining and entertainment options, so all of the NoMad spaces are part of a city-wide upgrade that’s really grooving this year. In December, L.A. chef Roy Choi will open Best Friend at Park MGM, across from the theater where Lady Gaga will start her Vegas residency on Dec. 28. An outpost of Eataly is also expected to open at Park MGM in late December. And New Year’s Eve will be when L.A.’s Houston Hospitality launches the On the Record speakeasy and club at Park MGM. Over at The Cosmopolitan, high-end Cantonese restaurant Red Plate will open on Oct 15. 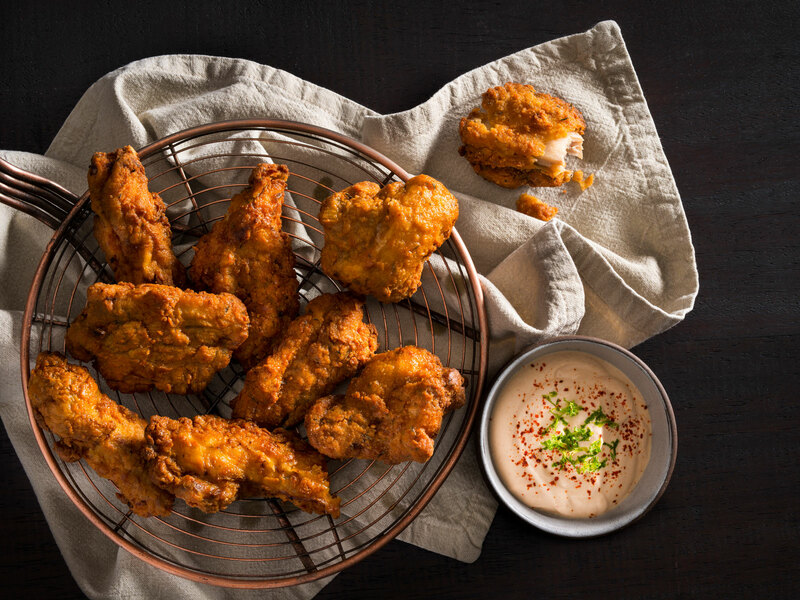 The Cosmopolitan’s Block 16 Urban Food Hall already debuted on Labor Day weekend with, among other high-profile operators, an outpost of Nashville hot-chicken sensation Hattie B’s. Over at Aria, celebrity-friendly restaurant/nightlife players Eugene Remm and Mark Birnbaum are getting ready for the late October opening of Catch, a sceney seafood spot that’s been a huge hit in New York’s Meatpacking District and in West Hollywood. A Halloween party with George Clooney will be part of Catch’s opening celebrations. Over at Bellagio, New York’s Major Food Group (who already have Carbone at Aria) will open Sadelle’s with bagel brunches and big platters of smoked fish in December. At Palms, an ambitious property revamp will include the first Vegas restaurants from both pasta master Marc Vetri and comfort-food king Michael Symon. Vetri Cucina, the first expansion in the two-decade history of this Philadelphia flagship, is slated to open in November. Mabel’s, a Symon restaurant that will focus on barbecue, is expected to debut in December. Also coming to Palms, where the Scotch 80 Prime steakhouse opened in May with a $3 million whiskey collection, is a hidden speakeasy from mixologist Francesco Lafranconi that’s scheduled for a December opening. Beyond that, Palms will add a Bobby Flay restaurant in 2019, along with three Tao Group hot spots: a restaurant, a nightclub, and an enormous 5,000-capacity pool club that will be open year-round. 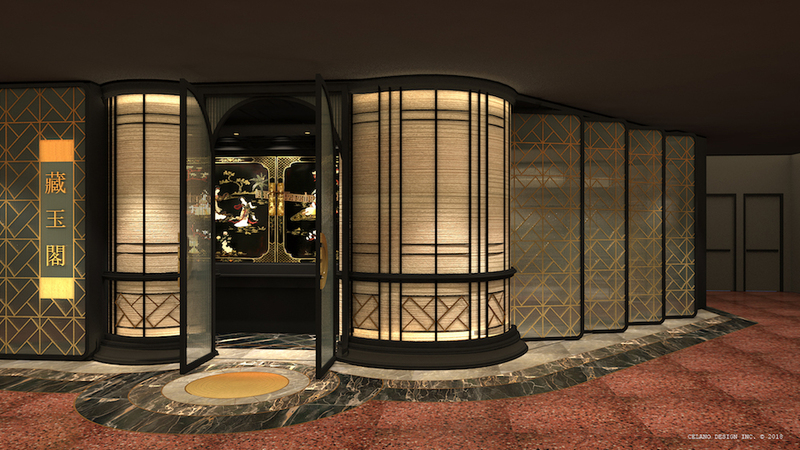 Over at The Venetian and The Palazzo, where acclaimed barman Sam Ross recently opened Electra Cocktail Club (the third bar in The Venetian Cocktail Collective that also includes The Dorsey and Rosina), December will see the opening of the first U.S. outpost of Hong Kong’s Mott 32. 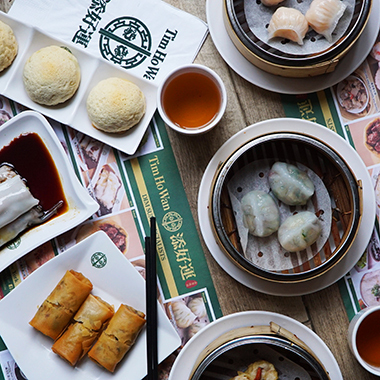 This contemporary Chinese restaurant’s applewood-roasted Peking duck and crispy triple-cooked wagyu short ribs should be a hit with high rollers. Meanwhile, L.A. chef Angelo Auriana is working on opening The Factory Kitchen (scheduled for December) and Sixth + Mill (spring 2019) at The Venetian. Over at The Forum Shops at Caesars Palace, the space that was home to Wolfgang Puck’s Spago (which reopened at Bellagio in June) will turn into an outpost of seafood restaurant Water Grill that’s expected to open in early 2019. Water Grill, with four locations in Southern California, is known for grand shellfish platters that should work well for over-the-top Vegas feasts.